Congratulations to you all - you should be very proud of your achievement! We have a fantastic assembly this morning, celebrating many achievements from this term. - Golden Book award - well done to 6F! - Housepoints: Well done Willow! - Tidy Environment: Good work 3D! 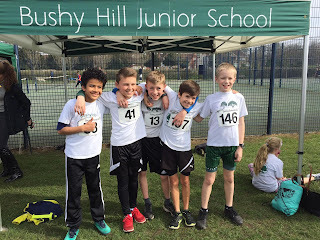 Congratulations to our team who on Saturday morning came 5th (out of 9) at Tormead's competition for local schools. The team played really well and held their own against tough competition. Thanks to Miss Smith and Miss Warren for coaching and giving up their Saturday morning to supervise. Brilliant fun was had by all this afternoon as we all participated in the Easter Fun Run. We were so impressed by the effort everyone put in. Thank you to everyone who helped and to Miss Smith for organising. Thank you to FAB for the tombola and refreshments and to everyone who came along to cheer! 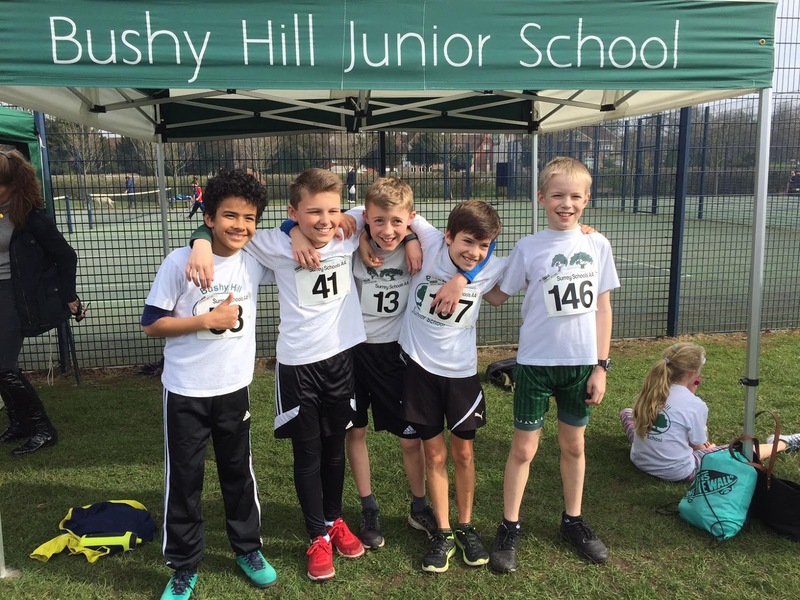 Huge congratulations to our team who ran in the Cross Country event on Saturday morning. They ran themselves proud!! Thank you to Miss Furze for giving up her time to organise the event.